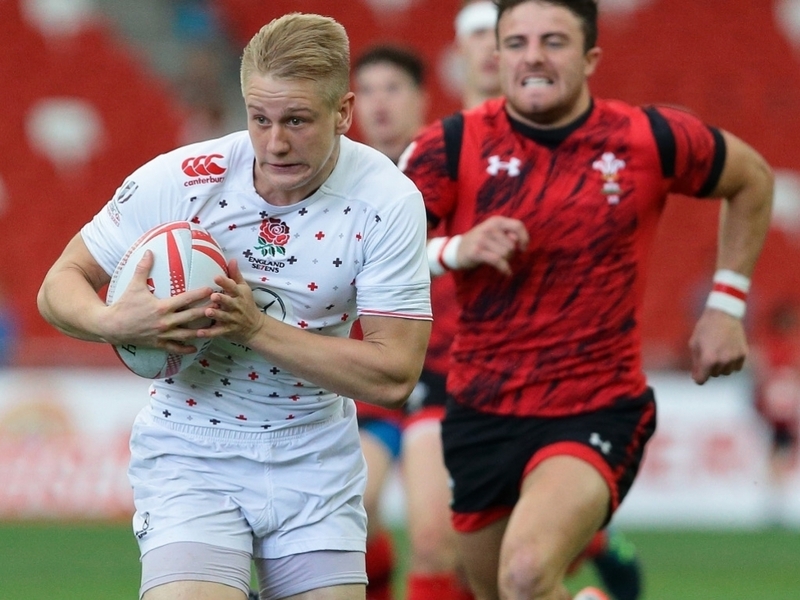 Newcastle Falcons have announced the signing of England Sevens international Cameron Cowell to their senior academy squad. The 21-year-old can play at full-back, wing or scrum-half in 15s, and has represented England at U18, 19 and 20 levels. Playing 38 matches for England in the World Rugby Sevens Series, his quick feet, vision and pace have helped him score nine tries, adding a further 32 conversions. A product of London Irish's academy, Cowell moves north to join a Newcastle Falcons side fresh from recording their highest league finish in 11 years. Mark Laycock, Falcons first team skills coach and academy manager, said: "Cameron is a tremendously exciting player with pace to burn, who will fit in with our attacking philosophy. "We have seen a lot of him in 7s and are excited about helping his transition back to 15s, much as we did with Marcus Watson two years ago. "In terms of his playing position he is able to play at full-back, wing, or scrum-half, and as we work more closely with Cameron we will look to find more of a specialist role for him to focus on." Cowell becomes Newcastle's 11th signing for next season following the previously-announced arrivals of Toby Flood (Toulouse), Josh Matavesi (Ospreys), DTH van der Merwe (Scarlets), Maxime Mermoz (Leicester Tigers), Tevita Cavubati (Worcester Warriors), Gary Graham (Jersey), Joel Matavesi (Redruth), Ryan Burrows (Yorkshire Carnegie), Sam Stuart (Richmond) and Sami Mavinga (Lyon).